Be a part of Power + Precision + Mindfulness online yoga teacher training courses. These online courses combine video, downloadable written materials, and live chats to make for a truly well-rounded and engaging learning environment. You’ll receive the highest quality of yoga education with direct access to Jason and a community of yogis around the world all from the comfort of your own home, anytime you’d like. Each course offers continuing education credit. In this online course, Jason breaks down the components of each pose and group poses together, making high risk inversions and arm balances safe and accessible. He includes step-by-step approaches to every pose and outlines how one pose seamlessly flows into the next. More than 20 hours of instruction, 35+ poses, homework, quizzes, chats with Jason and more. In this online yoga teacher training course, Jason and orthopedic surgeon Paul B. Roache, MD, have distilled the subject of anatomy, making it directly relevant to yoga practice and teaching. This is not your boring high school anatomy course! This course is made up of 8 chapters that include lectures, demonstrations, Q&A, asana practices, handouts and unique anatomical illustrations. This online course gives you the knowledge, inspiration, and technique to generate fresh, safe sequences that represent your voice and vision as a teacher. This course contains 7 chapters of lecture, practice, sequencing templates, downloadable sequences, reflection questions, key teaching points for each posture group, and a curated list of YogaGlo classes that complement the chapter. Jason Crandell, is a natural teacher and author with more than 15 years of experience. His accessible, grounded classes integrate the best elements of power yoga, anatomical precision and mindfulness teachings. With a “knack for teaching subtle body movements in a way that everyone can understand” (Yoga Journal), Jason’s articulate, down-to-earth teaching will educate and empower you. 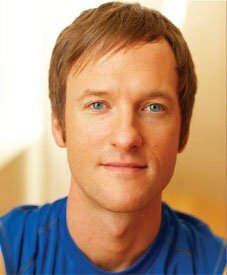 Named “one of the teachers shaping the future of yoga” by Yoga Journal, Jason has been one of the most in-demand teachers at conferences around the world for over a decade. Considered a “teachers-teacher”, Jason has taught on countless teacher-training faculties, leads trainings globally, and regularly presents teacher-training content at esteemed conferences. Jason is a contributing editor for Yoga Journal Magazine where he has published over 25 articles. His critical-thinking skills will support you on your path of practice, teaching and self-inquiry.